Here at J.M. Smith Landscaping, we strive on the satisfaction of you, the Customer. We will do whatever it takes to create what you deserve. 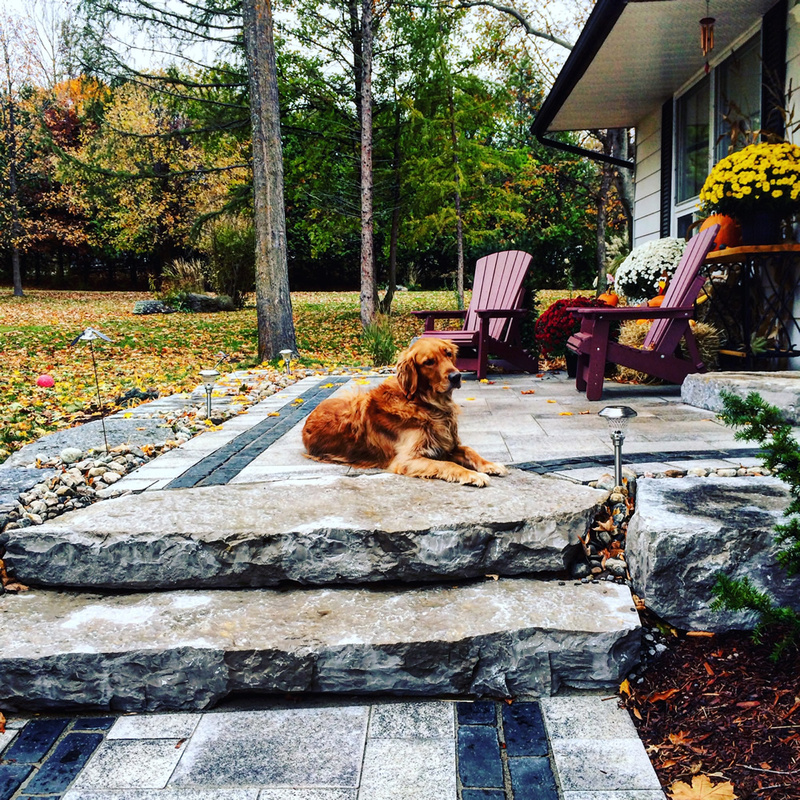 Whether it is a small front entrance, or a large backyard oasis, you will always get the same care and work ethic from our knowledgeable, energetic crew of “Horticultural Technicians.” We provide functional and fresh new ideas to help you get the most out of your desired landscaping project(s). My daughter and I moved into a new home last summer which incorporated a number of accessible design aspects to meet her mobility needs. This year our goal was to determine how we could both utilize the backyard given the accessibility challenges. We were extremely fortunate to find J.M. Smith Landscaping and owner Justin Smith who worked closely with us to design a practical yet beautiful backyard space. We really enjoyed working with Justin as he helped us navigate the numerous options available to us, all the while incorporating our wishes to create an enjoyable, usable family space which included a deck, ramping, landscaping, fencing and a beautiful inter-lock patio. His suggestion to use TREX composite for our decking to help to keep the maintenance at a minimum was truly appreciated as I was not aware of these new products. J.M. Landscaping truly transformed our backyard, meeting not only our overall needs and wishes but completing the job in the timelines discussed and on budget. We thoroughly enjoyed working in partnership with Justin and his team of professionals and would highly recommend them to friends, family members and of course of neighbours who watched the transformation and are still in awe! A wonderful company to deal with! It was late Summer 2012 and we just finished a large renovation. Our backyard was destroyed and we didn't want to be faced with a mess come Spring. We decided to contact our local Landscape Supply Store to get their professional advice. They suggested we work with a Landscaper and gave us the names of three companies they had worked with in the past. They highly recommended Justin Smith - a young entrepreneur who had recently ventured out on his own to form JM Smith Landscaping. From our initial phone call to the first time we met Justin in person we knew we had found a landscaper that we could trust and work with in the coming years. With a very tight budget we opted to start small and have sod laid and the areas around our large maple trees edged and mulched. After living through a construction site for the past 7 months we were anxious to have a green backyard. We were extremely impressed with the results that we are currently working with JM Smith Landscaping to design our backyard oasis.